Shirshendu Mukhopadhyay is a proverbial author of Bengali literature. He is top of the popularity of Bangla speaking readers. He speaks of people, society and civilization in his written stories and novels. Never wrote for popularity, the writing made him popular. 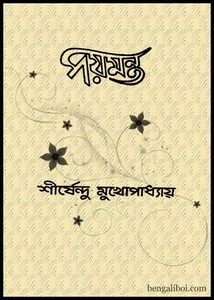 Now I want to share with you, his novel 'Paymanta' as a pdf file. The ebook has 140 pages, 5mb pdf size. Dear readers can collect the above said book from link below.